A heartless thief stole hundreds of pounds from a pensioner who was lying injured in the street. And the Press and Journal is offering a £1,000 reward to anyone who can help bring the culprit to justice. Members of the public called the emergency services after finding the pensioner injured and clearly in pain. He was taken to Aberdeen Royal Infirmary by ambulance. It is understood the thief saw him fall and stopped – but rather than help him he stole his wallet, containing what police described as a “mid three-figure sum”. The man is described as being white, about 5ft 10in and of average build. He was wearing a white crew neck jumper and blue jeans. The incident happened at public stairs between Farquhar Road and Girdleness Road in Aberdeen’s Torry area. One resident said he was “not surprised” when he was first told about the incident. Last night, Torry councillors were quick to condemn the thief and urged anyone with any information to come forward and tell the police. Councillor Graham Dickson said: “This is an absolutely horrible incident. “When an elderly man is in need of help and this happens, it really does make you question people at times. Mr Dickson’s fellow ward councillor, Alan Donnelly, called on people to be extra vigilant while out on the streets alone. He said: “This was a despicable act and we need people to come forward to ensure it doesn’t reoccur. “We have had similar incidents in the past in Torry and people should be careful about where they are going, and when, and that goes for all ages. “This is obviously a person who is desperate for money but that is no excuse. Press and Journal editor-in-chief, Damian Bates, said: “Every right-minded person will be utterly appalled by this. “If the Press and Journal can help in some small way to catch the culprit then we’ll do everything in our power to do so. The £1,000 reward is being offered to who can provide information which leads to the arrest and conviction of the thief. Police said the theft, which happened around 7.30pm on Monday, was an “opportunist” crime. 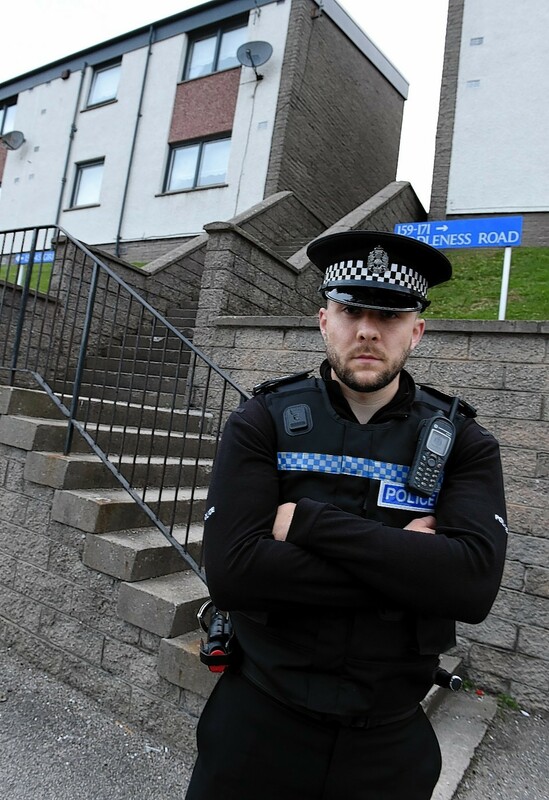 Speaking at the scene last night Sergeant Martyn Thomson said: “I would like to take this opportunity to reassure the local community that this is an isolated and opportunistic incident. Officers are following positive lines of inquiry. Sergeant Thomson urged anyone with information to contact police on 101, or Crimestoppers on 0800 555111.